Thomas Frössman's blog on programming, technology, tools, or something like that. Trying out font faces and sizes for a default light theme terminal. 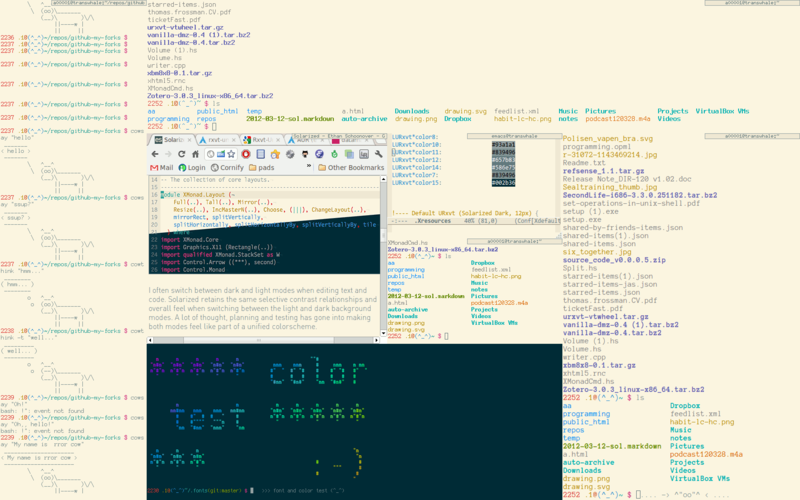 The terminal is rxvt-unicode-256, the color theme is Solarized. I went for the one to the absolute left, Anonymous Pro 10pt. Rxvt is configured in the ~/.Xresources file.
! app-defaults  files were implemented.
! .Xresources should be used instead. The terminal is launched either with plain urxvt for the default dark terminal or urxvt -name LURxvt for the light one.